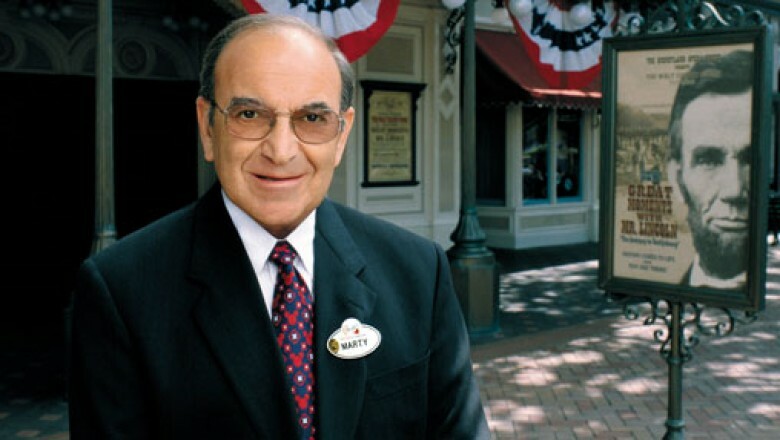 Disney Legend and Imaginner Marty Sklar passed away in his Hollywood Hills home on Thursday. He was 83. His last public appearance was just a few weeks ago at the D23 Expo. According to his Disney Legend biography Marty attended the University of California at Los Angeles where he served as editor of the Daily Bruin campus newspaper. 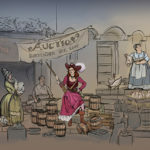 In July 1955, the student editor was recruited to create an 1890-themed tabloid newspaper, The Disneyland News, which sold on Main Street during the Park’s debut year. After completing his education, Marty returned to Disneyland publicity and marketing. There, he established Vacationland magazine. He joined WDI in 1961 as part of a team assigned by Walt to develop industry-sponsored shows and pavilions for General Electric, Ford, Pepsi-Cola and UNICEF, and the State of Illinois at the 1964-65 New York World’s Fair. 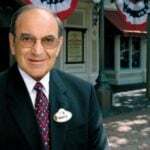 Ever since, Marty served as a key representative working with American industry in developing and sponsoring attractions for Disney parks and resorts around the globe. During his early years at Disney, Marty not only learned Walt’s philosophy firsthand, but metabolized and translated it into materials he wrote for the master showman which were used in publications, television appearances, and special films. Among them was a 20-minute movie devoted to communicating Walt’s vision of EPCOT, his Experimental Prototype Community of Tomorrow, originally intended to help resolve the urban challenges found in American cities. Marty first became an Imagineering officer in 1974 when appointed vice president, concepts and planning, a role in which he guided creative development of Epcot Center at the Walt Disney World Resort in Florida. In 1979, he was named vice president of creative development, followed by executive vice president in 1982. He served as president and vice chairman from 1987 to 1996. 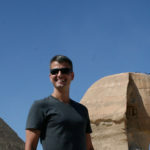 As vice chairman, Marty provided leadership for the Imagineering creative staff, delivering breakthrough entertainment concepts for Disney parks and resorts including Disneyland Paris, the Tokyo Disney Resort, and Hong Kong Disneyland. Imagineering is also responsible for all Disney resort hotels and the Disney Cruise Line ships, and has created concepts for restaurants, children’s museums and hospitals, traveling shows, and exhibitions. In 2001, the Company honored Marty with a special award for 45 years of service and leadership. After the 50th anniversary of Disneyland in 2005, he transitioned into a new role as Imagineering’s international ambassador. He is the only person to have attended the grand openings of all Disney parks. 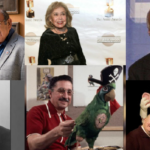 He retired from Disney on July 17, 2009, after 53 years with the Company.